The Death Talk Project is leading a discussion on language to kick-off the 7th Annual event. 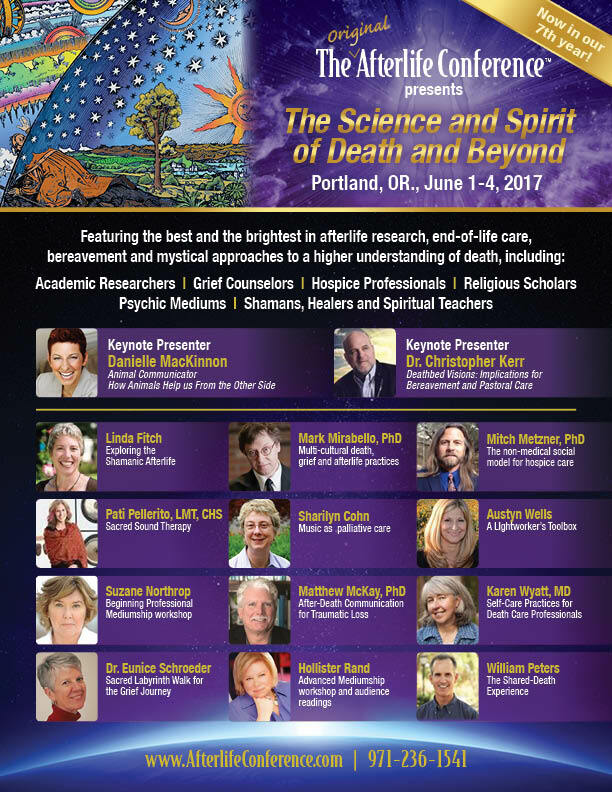 This popular national conference returns to Portland June 1-4, 2017. Use the promotion code “HP” for $10 off general admission to the full conference. To kick off the 7th Annual Conference, the Death Talk Project will host an interactive evening focused on the language we use to talk about death and grief. A panel of experts facilitated by Holly Pruett will explore the pros and cons of popular euphemisms for death, whether death is the “end of life,” and multi-cultural approaches to talking about death and the afterlife. All participants will be invited into small group discussion. Karen Wyatt MD is a hospice physician and founder of End-of-Life University who will speak at the conference on end-of-life care in clinical settings, and self-care for professionals working with death, dying and bereavement. William Peters, MFT, M.Ed. directs The Shared Crossing Project, a research initiative to examine the shared-death experience. 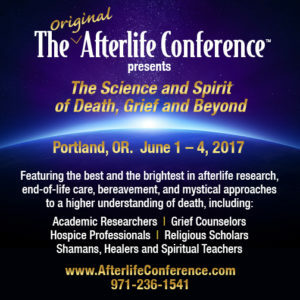 Austyn Wells is a unique spiritual medium who combines her license in grief counseling with shamanism, energy medicine and intuitive client interaction. Holly Pruett is a Life-Cycle Celebrant, Home Funeral Guide, and founder of the Death Talk Project, which promotes useful, honest conversation about how we die, how we mourn, and how we care for and remember our dead.